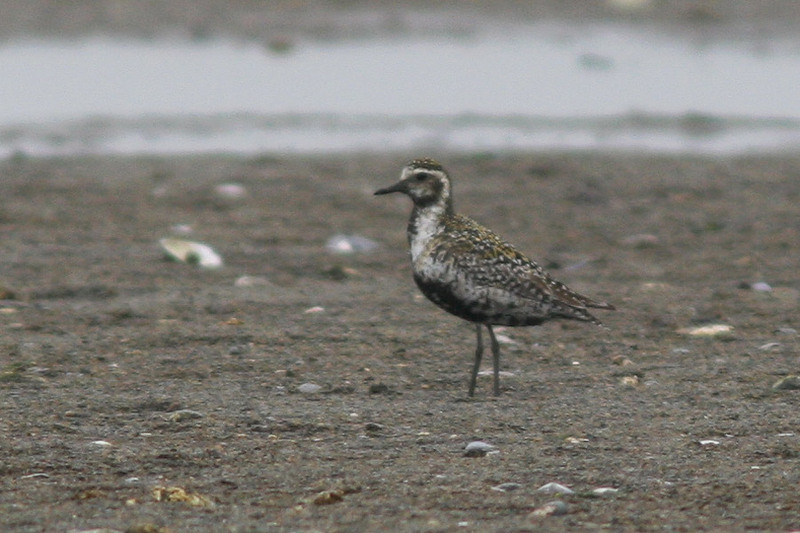 This Pacific Golden Plover was at Trepassey in the summer of 2007 – the first record for the province and one of only a handful for eastern North America. 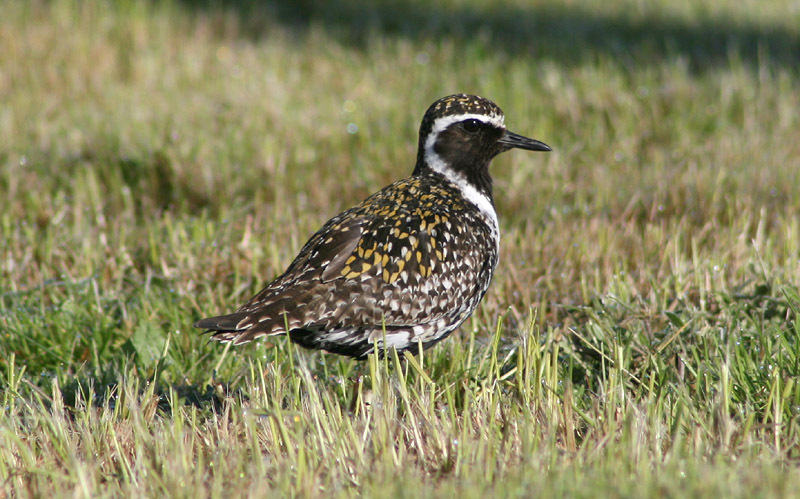 Origins: Breeds in northern Asia and western Alaska – a very rare vagrant to eastern North America. Record Details: Six records for Newfoundland: (1) Trepassey, June 27 – July 16, 2007; (2) Cape Race, June 5-8, 2010; (3) Bellevue, July 30 – August 3, 2011; (4) Cape St. Mary’s Ecological Reserve, July 16, 2015; (5) Point LaHaye, December 5-10, 2016; and (6) Stephenville Crossing, May 12, 2017. All records were photographed. Moulting female, July 30 – August 3 2011, Bellevue.